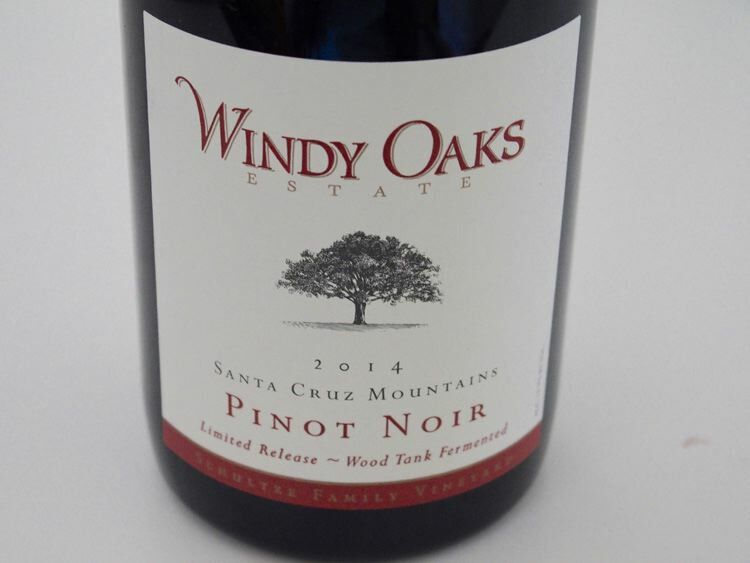 With the gradual premiumization and increasing popularity of domestic Pinot Noir has come a gradual escalation in price. I looked back at the average price (rounded off) of all domestic Pinot Noirs I reviewed by year from 2007-2016. Each year there are about 1,000 published reviews of domestic Pinot Noir in the PinotFile. The Nielsen statistics (representing about 75% of off-premises sales) for 52 weeks ending 11/05/16 of wine sales at all US outlets combined plus liquor and convenience stores showed a 9.2% increase in sales versus a year prior for Pinot Noir, exceeding all other varietals except Sauvignon Blanc (12.2%) and Rosé (55.4%). The average price for a 750 ml bottle of Pinot Noir was $10.20, exceeded among all varietals only by Zinfandel ($10.57) and Rosé ($13.27). However, the average price change compared to the prior year, was greatest for Pinot Noir among all varietals ($0.24) except Zinfandel ($0.39). For the time being, premiumization is driving the overall profit pool for domestic Pinot Noir producers. 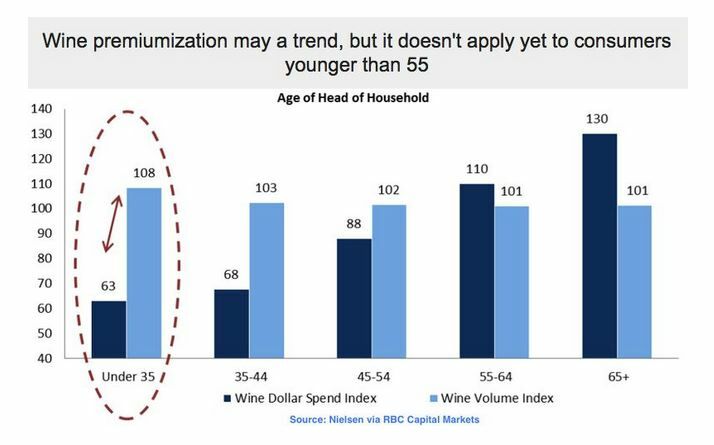 And while wine premiumization may be a trend, it doesn’t apply yet to consumers younger than 55 who are drinking plenty of wine but not buying premium priced bottles. Will the younger consumers succumb to the allures of premium Pinot Noir as they age? Most of the wines reviewed here are priced a little below or above the 2016 average price of $52. Jerry Lohr first planted his estate grapevines in the Arroyo Seco AVA of Monterey County in 1972. 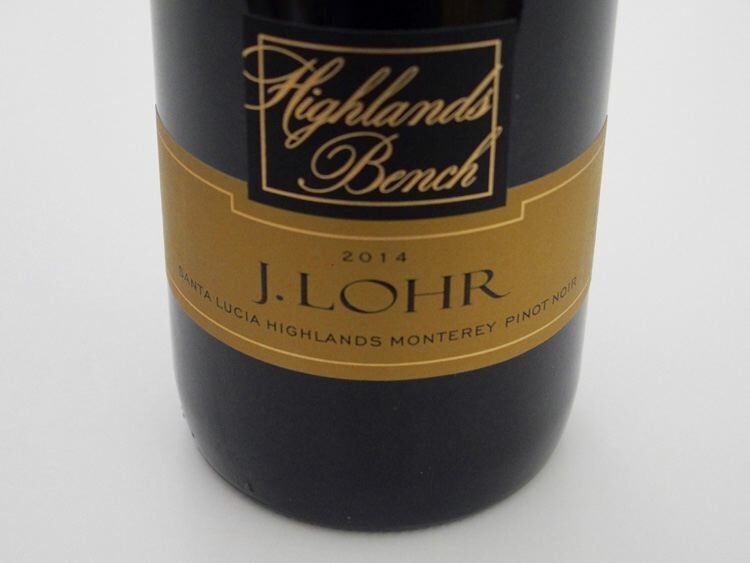 Forty-five years later, J. Lohr’s Monterey estate program encompasses more than 1,300 planted acres in the Arroyo Seco and Santa Lucia Highlands, with an emphasis on Pinot Noir and Chardonnay. 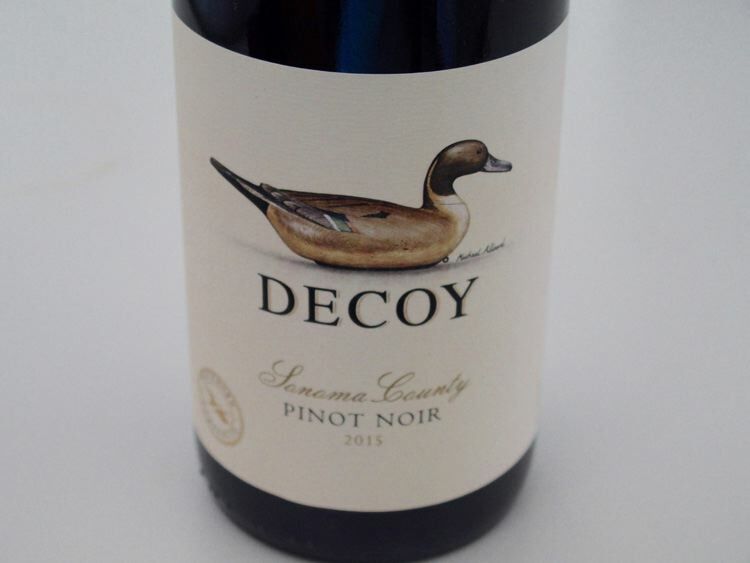 The Pinot Noirs are crafted by long time red wine winemaker Steve Peck. Visit www.jlohr.com. Kristie Tacey crafts a variety of wines out of a custom crush facility (Moshin Vineyards). 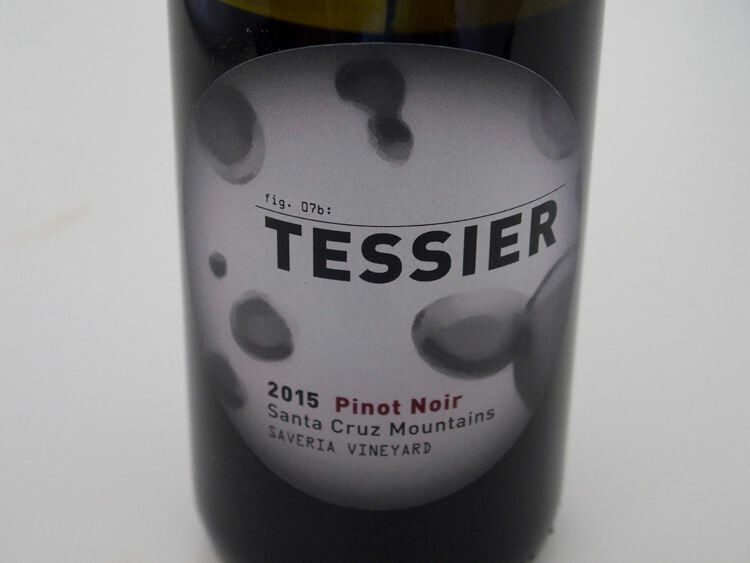 Her 2014 Saveria Vineyard Pinot Noir was featured as one of the Year’s Best U.S. Pinot Noirs in the April 2017 issue of Wines & Spirits (score of 96). Visit www.tessierwinery.com. 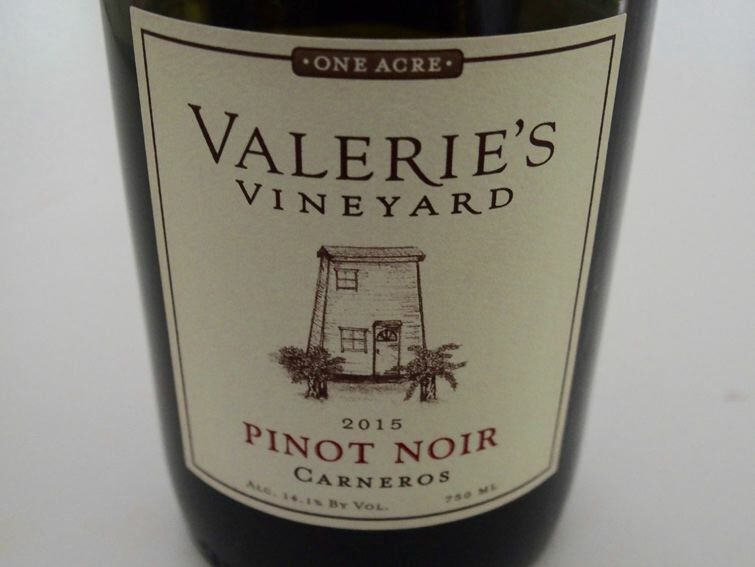 The 2015 release is the 13th vintage of Valerie’s Vineyard Pinot Noir. This one-acre site, farmed by three families according to practices guided by viticulturist Phil Coturri, is now reaching maturity and showing the nuances that come with old vines. The 2015 vintage crop was smaller than in previous years. Winemaker Jeff McBride crafted the wine at Benziger Family Winery in Glen Ellen. The wine was aged 18 months in 30% new French oak barrels. The wine is distributed to fine restaurants in Sonoma Valley and is sold at Hi-Time Cellars in Costa Mesa, CA. Visit www.valeriesvineyard.com. I have reviewed 10 vintages (2006-2015) and pulled out a few older vintages to accompany this review of the 2015 release. The 2007 through 2010 wines were vinified at B.R. Cohn Winery in Glen Ellen and have a consistency of style: ripe and luscious fruit, minimal oak infusion, firm tannic backbone and good balance. The 2015 vintage shows a shift in style with plenty of rich fruit but more vibrancy. As you can see, the price has remained the same through the years. Scott Sisemore experienced extremely light yields in 2015, and ended up with only four barrels of Pinot Noir. The Ascona Vineyard is new for him, located above Los Gatos at 2,000 feet elevation in a beautiful spot surrounded by tall evergreen trees. The wines are distributed in the San Francisco Bay area and can be obtained on the website at www.waxwingwines.com. 13.5% alc., 50 cases, $55. Released March 2017. Fourth vintage working with this vineyard. Vines planted in 1998 and managed sustainably by Prudy Foxx. Dijon clones 667 and 115. 50% of fruit was crushed by foot whole cluster and fermented with Assmanhausen yeast. 5-day cold soak, punched down two to three times per day and aged 15 months in once-used French oak barrels. Bottled after a light filtration. · Moderate garnet color in the glass. 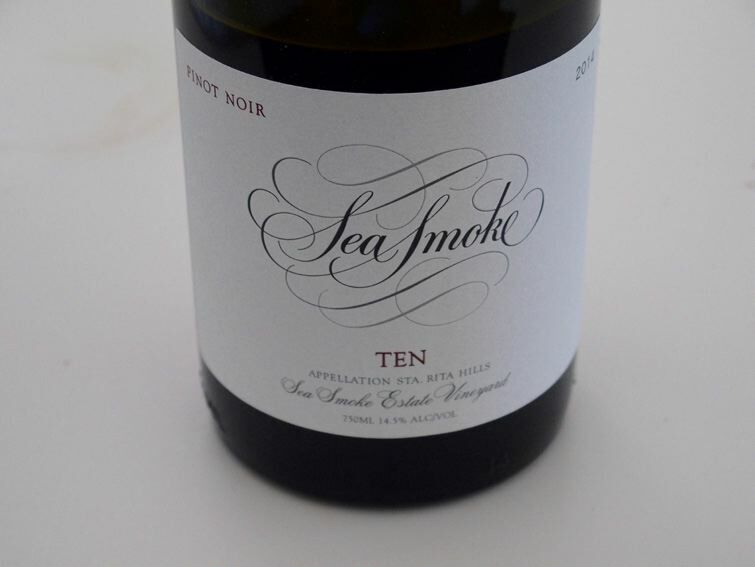 Quite savory on the nose with whole cluster aromas of stem merging with aromas of black cherry and blueberry. Light to mid weight in style, with flavors of strawberry, dark red cherry, boysenberry and root beer infused with noticeable oak highlights. Easygoing, with minimal tannins and silky in texture, but the wine lacks spirit and seems almost grumpy like it is in a dumb phase. Just doesn’t have the charm and character of other Lester Family Pinots from this and other producers.Tasted twice with similar results. Will need to be reassessed in the future. Winemakers Jim and Judy Schultze have been crafting exceptional Pinot Noir and Chardonnay since 1999. I have written extensively about their talents and the wines that are among the finest offered from the Santa Cruz Mountains appellation. Pinot Noir is vinified by gravity only with no pumps during crush, press and bottling. About half of the fermentation bins are done with indigenous yeast. All Pinot Noirs are bottled unfined and unfiltered. In recent years, the winery has expanded its offerings to include Albarino, Sauvignon Blanc, Pinot Gris, Viognier, Syrah, Mourvedre, Grenache and a red Rhone blend. Visit www.windyoaksestate.com.